Smart meters are electronic devices that keep track of electric energy, gas, and water consumption in uniform time intervals and sends the information digitally to utility for monitoring and billing. They have been designed to better understand energy usage and ensure accurate energy bills. Besides this, they are also effective in controlling the levels of radioactive emissions in the eco-system. Smart meters are used for electricity, gas, and water and can be deployed across residential, industrial, and commercial sectors. These meters use technologies such as advanced metering infrastructure (AMI) and automatic meter reading (AMR). Government policies are playing a vital role in the growth of the global smart meters market. The ever-rising demand for energy in form of electricity is compelling governments worldwide to pay attention to not just its production and transmission but also keep a check on losses due to theft and leakage. This is promoting the installations of smart meters across the globe. In addition, the growing emphasis on energy and water conservation is augmenting the market. 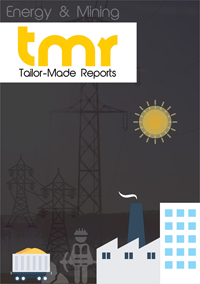 The global smart meters market is also supported by the increasing deployment of smart grid. Furthermore, the rising awareness regarding environment conservation is stoking the growth of the global market. On the flip side, the lack of awareness among consumers is limiting the widespread adoption of smart meters. Moreover, the high cost of installation makes end users less willing to switch to these meters from traditional meters, thereby hampering the growth prospects of the market. The majority of key players in the global smart meters market are enjoying the encouraging policies by governments in several parts of the world to set up smart meters. For instance, with the digitization of the Energy Turnaround Act in July 2016 in Germany, the legislation established guidelines for initial smart meter rollout, which is set to begin in 2017. These guidelines lay the foundation for a new phase in Energiewende. Similarly, in the U.K. in July 2016, British Gas decided to offer free daytime electricity for one day per weekend to over 2 million customers who had smart meters deployed. Such initiatives encourage people around the world to deploy smart meters, thereby boosting the sales. The North America market for smart meters is a highly lucrative marketplace for global participants. Continuous efforts by governments to improve the infrastructure pertaining to electricity, water, and gas supply along with deployment of devices that monitor and prevent their leakage are escalating the growth of the region. Governments in several parts of the U.S., and Mexico are rolling out smart meters at subsidized prices, which in turn is encouraging the growth of the market in North America. Asia Pacific, on the other hand, is an emerging market. The robust growth of the industrial sector and the pressing need for reliable systems to address growing electricity and water scarcity are driving the region. Besides this, the increasing investments in repairing and upgrading aging infrastructure and the booming concept of smart city are supplementing the growth of APAC. The high capital investment and technical acumen required for the manufacturing and distribution of smart meters is restricting new players from venturing into the global smart meters market. However, government regulations and strategic partnerships could help new players in overcoming high entry barriers. To deal with the high competitive rivalry, players are resorting to strategies such as product innovation and mergers and acquisitions. Some of the key companies operating in the global smart meters market are Itron Inc., Kamstrup A/S, Holley Metering Ltd., Landis+Gyr, Honeywell International Inc., and Toshiba Corporation.